OK, they’ve done it again. DEAD KEVIN has created a video that’s both equally provocative yet terrifyingly uncomfortable. Enjoy Intruder! (WARNING: Adult Content) Dead Kevin is Ahmed Bharoocha, Ryan O’Flanagan, and Jack Robichaud. 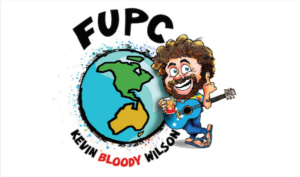 Mentions: Watch more Dead Kevin creations HERE.